Avaya delivers Intelligent Communications solutions that help companies transform their businesses to gain advantage in the industry. More than one million businesses worldwide, including more than 90 percent of the FORTUNE 500, use Avaya solutions for IP Telephony, Unified Communications, Contact Centers and Communications-Enabled Business Processes. 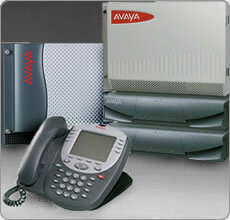 Avaya Global Services provides comprehensive service and support for companies, small to large. Avaya's office phone systems incorporate IP telephony, messaging, Web access, and interactive voice response. The company offers a wide array of consulting, integration, and managed services through its Avaya Global Services unit. It sells directly and through distributors, resellers, systems integrators, and telecom service providers.